Carpal instability occurs when the small bones in the wrist move out of position and compromise joint functioning. This may result when the ligaments that hold the bones together are torn or when the bones are fractured or affected by arthritis. Carpal instability causes ongoing pain and the loss of wrist functioning. Symptoms may improve with nonsurgical and surgical methods. Your wrist complex contains several small carpal bones aligned in two rows. A complex set of ligaments connect the bones. Your carpal bones and the two bones in your forearm form several joints in your wrist. The joints allow movement and position and change the shape of your hand. Your wrist joints function to position your hand and fingers for precise movements, such as handwriting, and for gripping, such as holding onto a steering wheel. Carpal instability occurs when the carpal bones move out of position. Chronic ligament weakening, as with arthritis, or ligament injury, such as from a fall, can cause malalignment of the carpal bones. Carpal bone fractures and deterioration contribute to carpal instability. When the carpal bones aligned inaccurately, the joints are unstable and may not function properly. Carpal instability can cause ongoing pain in your wrist. You may experience a snapping or hear a clicking noise when you move your hand from side to side. Your hand and wrist may feel weak and stiff. You may be unable to use them for activities. Over time, your hand may develop arthritis. Your doctor can diagnose carpal instability by reviewing your medical history and performing an examination. If you experienced a wrist injury, you should tell your doctor about how it occurred. Your doctor will feel the ligaments and bones in your hand to pinpoint the source of pain. Your doctor will maneuver the carpal bones to diagnose specific areas of instability. Your hand will be X-rayed to determine the position and condition of the carpal bones. You may receive other imaging tests, such as computed tomography (CT) scans, magnetic resonance imaging (MRI) scans, arthrograms and ultrasound. Your doctor will classify the instability pattern of your carpal bones. 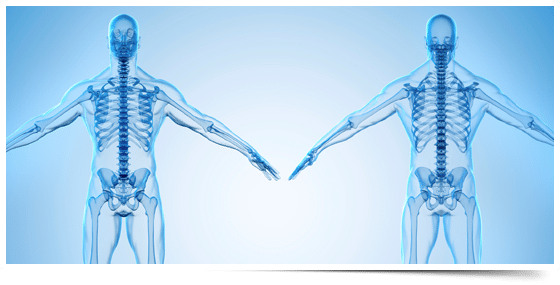 There are several types of carpal instability patterns, including dissociative carpal instability, nondissociative carpal instability, ulnar translocation, and dorsal subluxation. Dissociative carpal instability results in instability between the carpal bones that are within a row. Nondissociative carpal instability is instability that occurs between the two rows of carpal bones. Ulnar translocation describes a shift in the carpal bones to the little finger side of the hand. Ulnar translocation can result from rheumatoid arthritis. Dorsal subluxation describes an upward shift in the carpal bones that can occur after a wrist fracture. Carpal instability is further classified as static or dynamic. Static instability is apparent on an X-ray when the hand is motionless. If a doctor can move the carpal bones during maneuvering tests, it is termed a dynamic carpal instability. Treatment is specific to the type of carpal instability that you experience. Treatment depends on many factors, including the condition of the ligaments and bones, and the location of the instability. Treatment of carpal instability can be a complex process. Splinting will treat some types of carpal instability but many types of carpal instability require surgery. Your doctor will discuss your condition and the most appropriate treatment options with you. There are several types of surgery for carpal instability. The type of surgery you receive depends on your condition. Surgery is an option to repair and reconstruct ligaments. Ligaments can be reconstructed with transferred tendons. Joints may be fused together and bones may be reshaped to provide support and relieve pain. Arthroscopic surgery is commonly used to treat carpal instability. An arthroscope is a very small surgical instrument. It contains a lens and lighting system that allows a surgeon to view inside a joint. The surgeon only needs to make small incisions and the joint does not have to be opened up fully. A miniature camera attached to an arthroscope allows a surgeon to view and record the magnified images on a video screen. Thin surgical instruments are inserted for surgery. An arthroscope may be used to reconstruct, trim, and repair torn ligaments. Surgery to repair carpal instability is usually followed by a period of immobilization with splinting or casting, followed by hand therapy rehabilitation. Recovery is an individualized process. Your doctor will let you know what to expect.